Coffee. It is so much more than just a drink. For many of us, our day doesn't feel like it has started properly without a nice cup of coffee prepared just the way we like it, whether it is straight up hot and black, or with lots of cream and sugar, or ice-blended to beat the heat. At Coffee World you will find more than coffee. You will find a comfortable place to enjoy a simple and satisfying bite to eat that goes with your favorite beverage. We listen to our customers and know what they desire. That is why we've created living spaces that are ideal for friends to catch up or to enjoy leisurely reading a favorite magazine on your own. 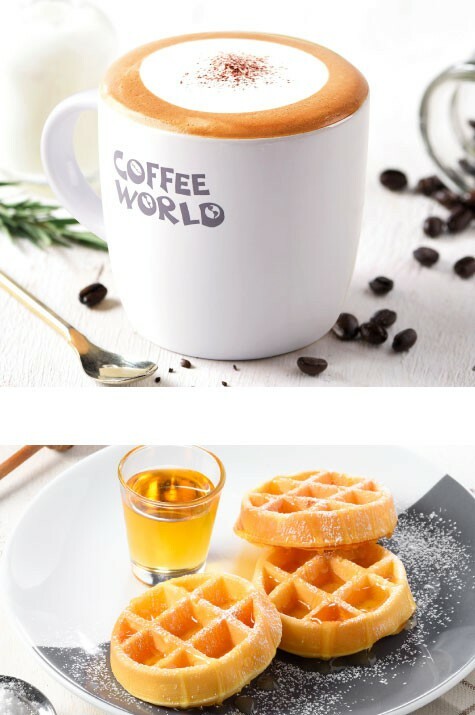 And if you are looking for a refreshing break on a long road trip, or a tasty treat in the middle of a shopping safari, Coffee World is your friend wherever you may roam. FIND YOUR LOVE IN A CUP AT COFFEE WORLD. with enough coffee, anything is possible. If you have a passion for coffee and an entrepreneurial spirit, then we be a match as perfect as sugar and cream. Find out more about how Coffee World can help you achieve your dream of owning your own thriving business. 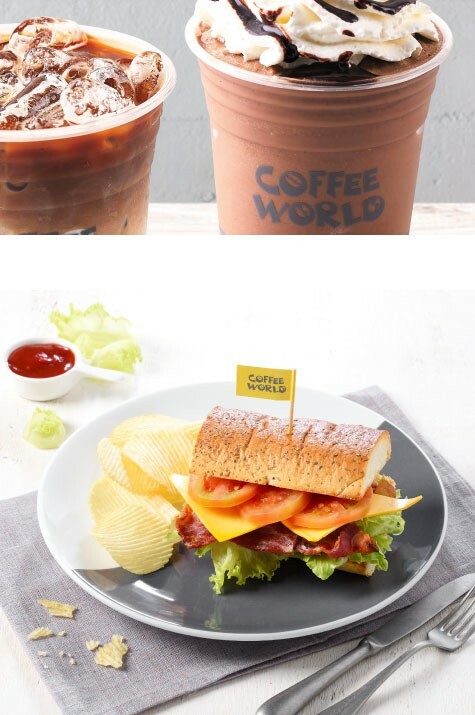 Whether you have a favorite go-to cup of coffee or you're in the mood to sip on something different, or even if you're feeling a bit hungry, we have something to please everyone, perfectly prepared just how you like it, at Coffee World.